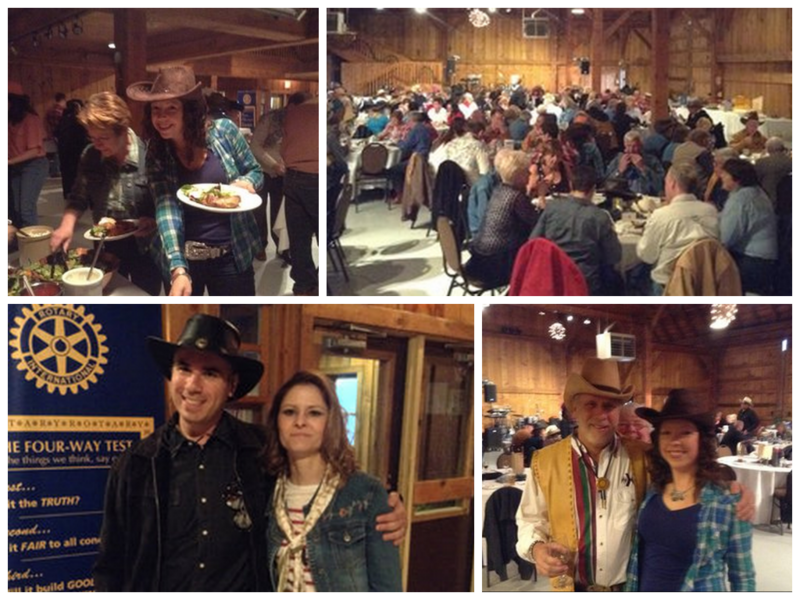 Over 150 guests came out on Friday, April 11th at Country Heritage Park's Gambrel Barn to enjoy Milton Rotary Club's Diamonds & Denim spring gala in support of Stride's mental health programs. Nearly $10,000 was raised for mental health and other worthy Rotary projects that support Milton youth and others in need around the world. It was a country-western themed night with Texas-inspired food of chicken and ribs. Guests dressed up in denim, cowboy hats and the ladies, "rhinestones" and diamonds. There was a live auction and a live band.